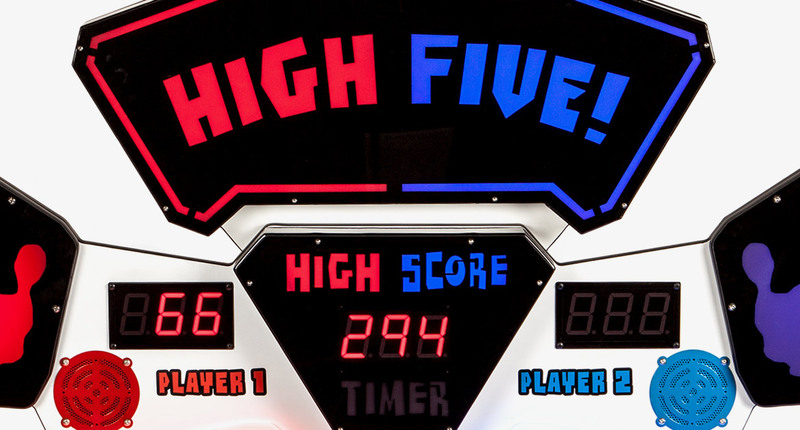 High Five is an energetic, side-by-side competitive redemption game for kids. 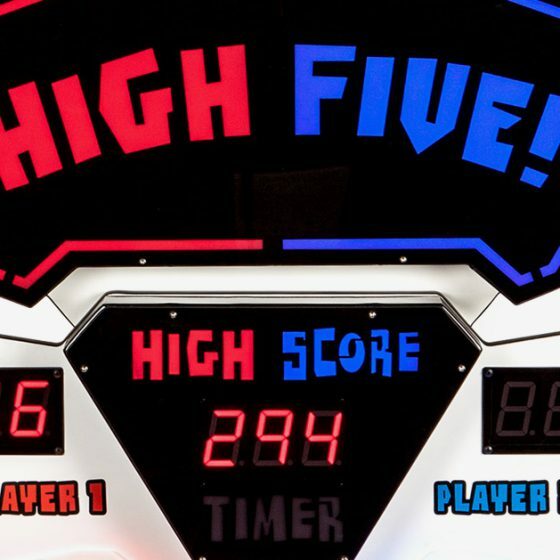 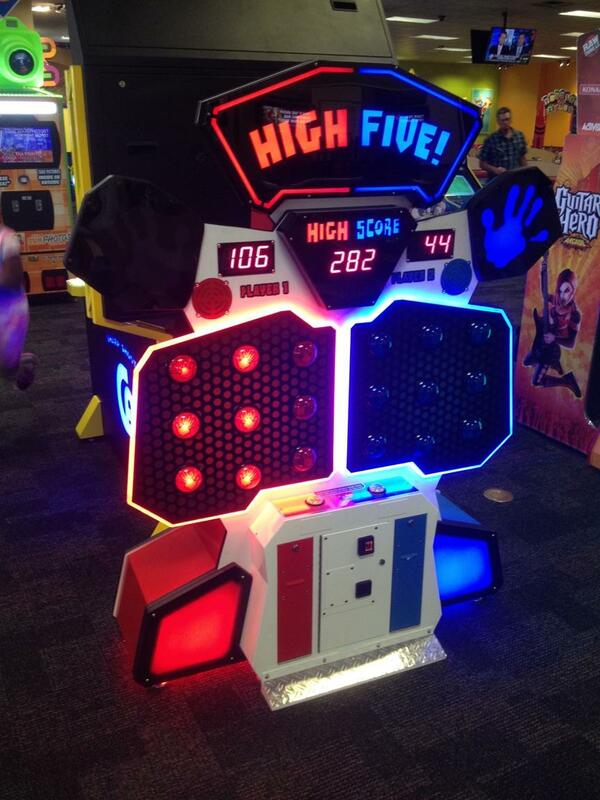 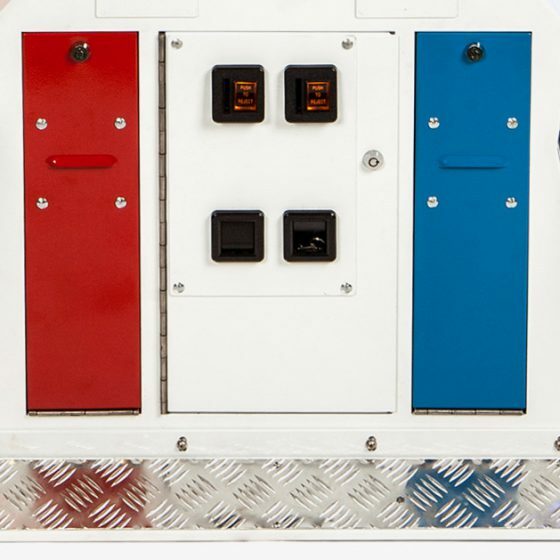 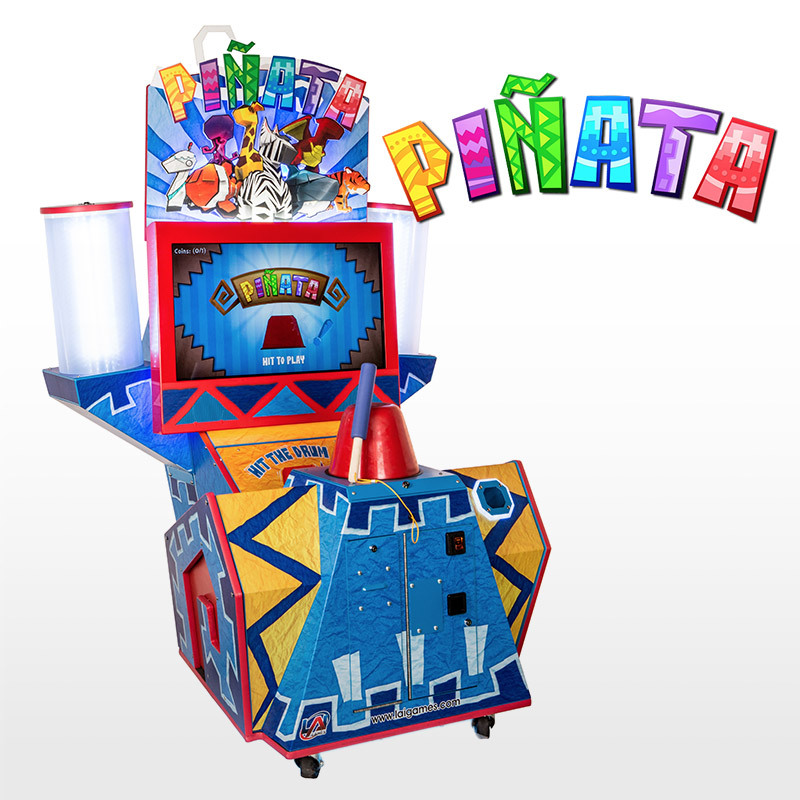 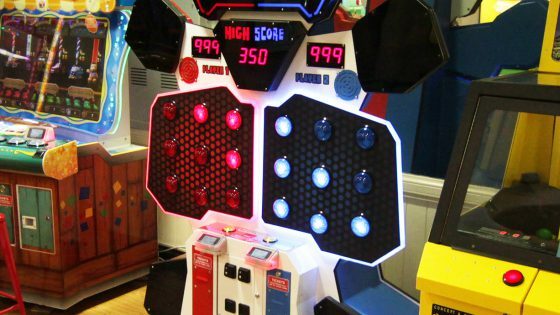 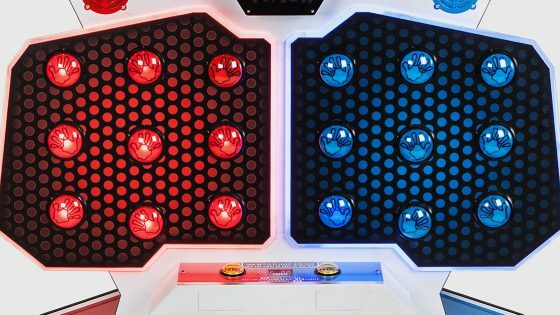 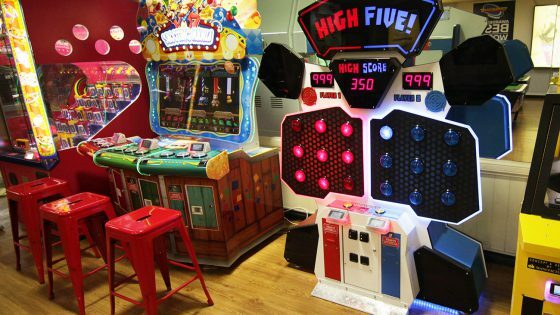 The over-size buttons on the playfield randomly light up showing the player which to hit, and as soon as one light goes out, another button lights for the player to “high-five” it. 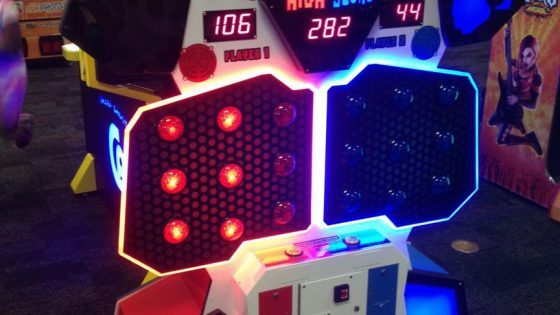 Players must hit as many illuminated buttons in the designated time to earn points. 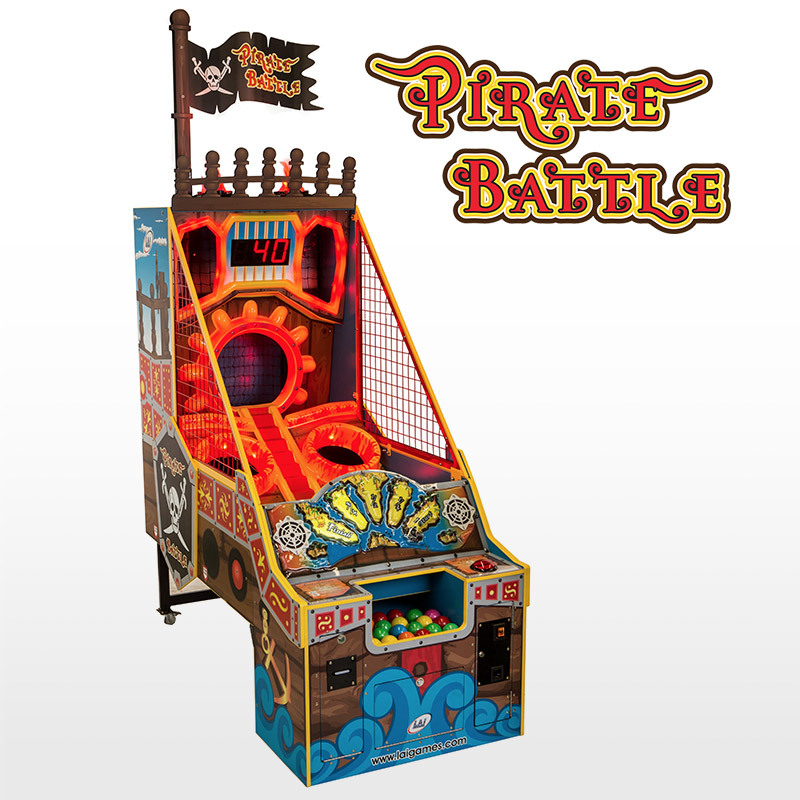 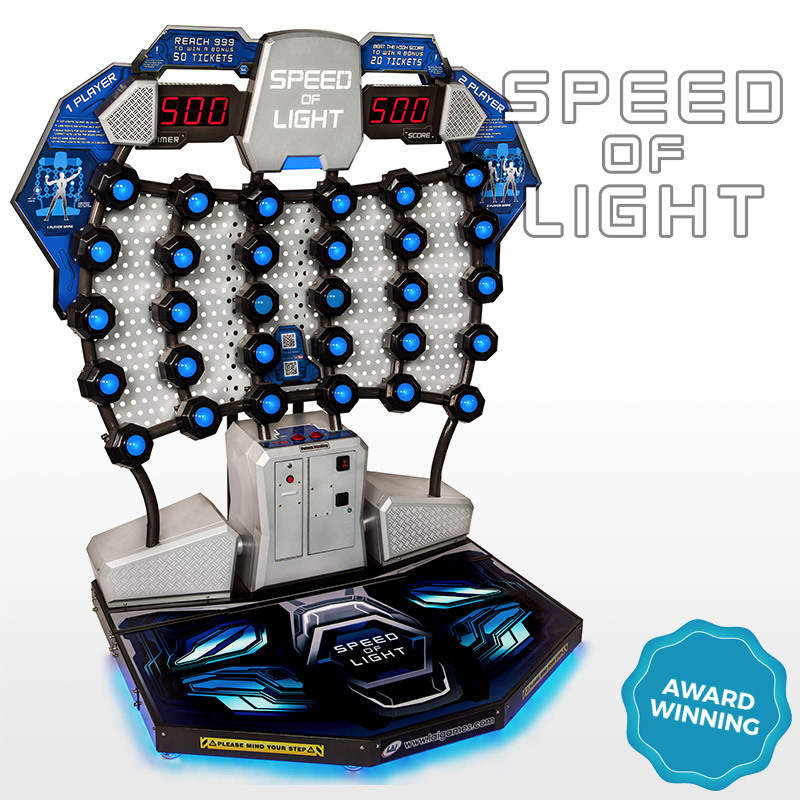 Modeled after our highly successful Speed of Light, this kid-sized version offers the same physical fun to the younger ones. 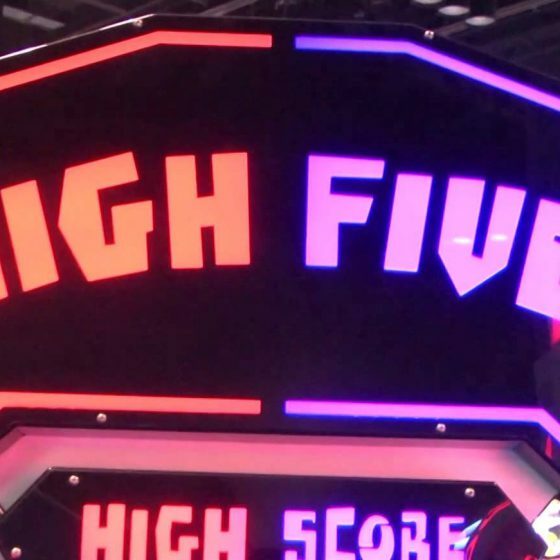 Why High Five? 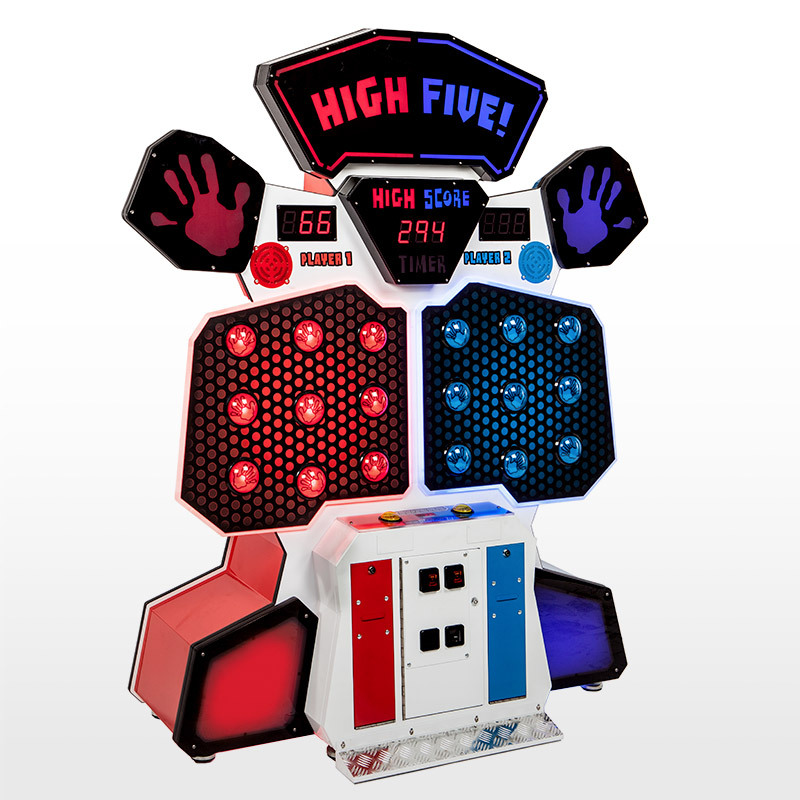 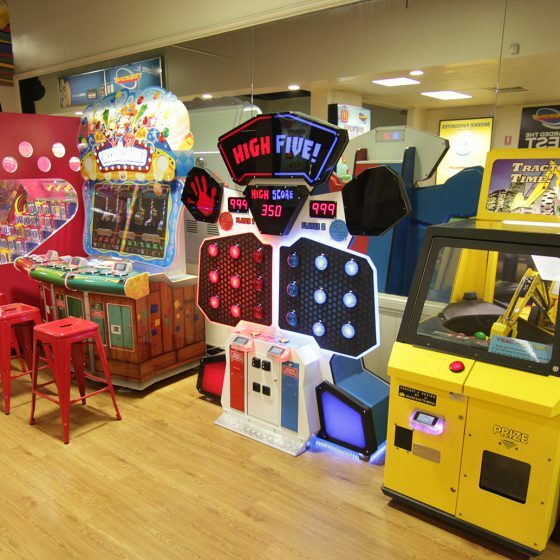 With its eye-catching lights, fun and fast paced music, and exciting sound effects, High Five demands the attention of both young players and parents alike. 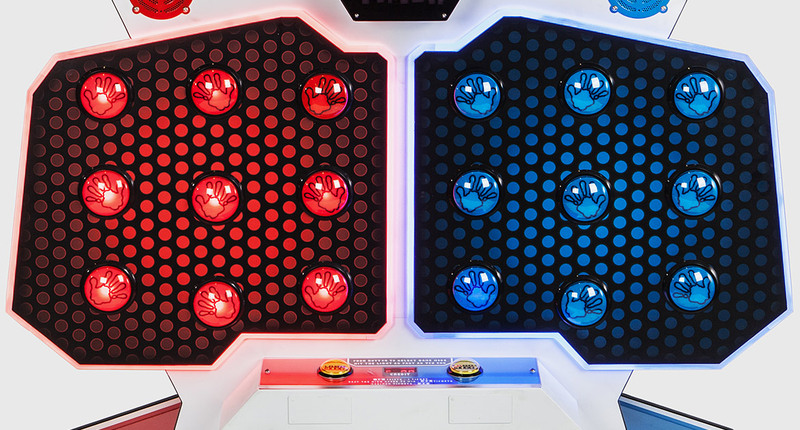 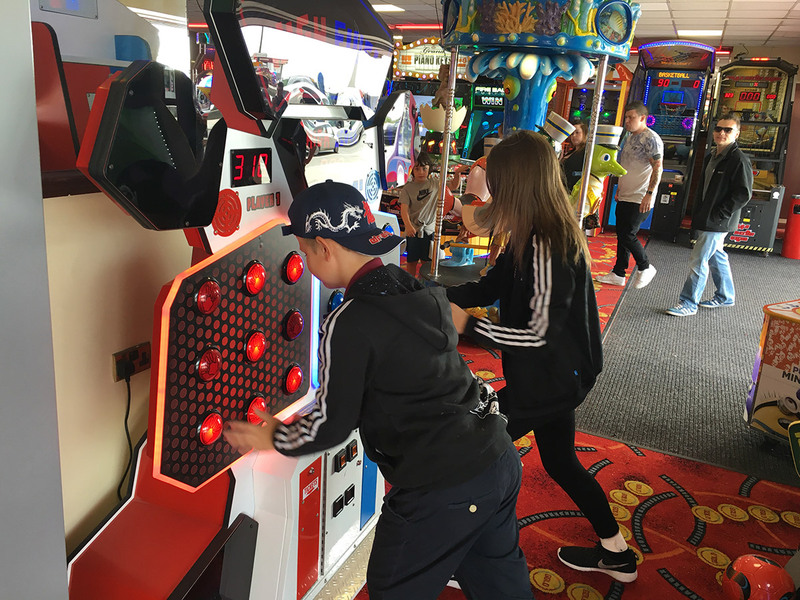 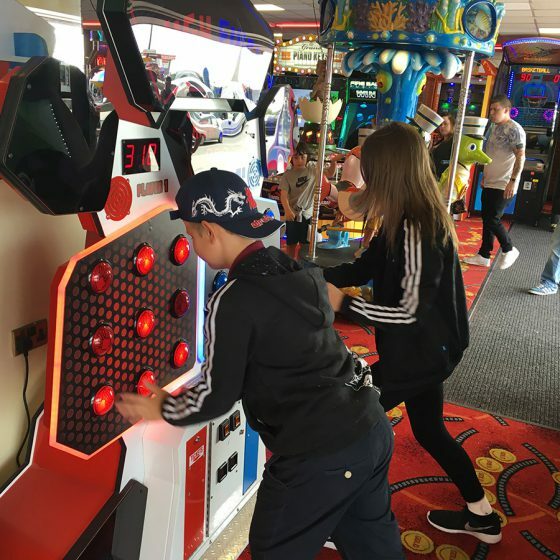 Parents can challenging their child to a game and watch the excitement of the kids winning and two friends can battle it out in 2 player mode. 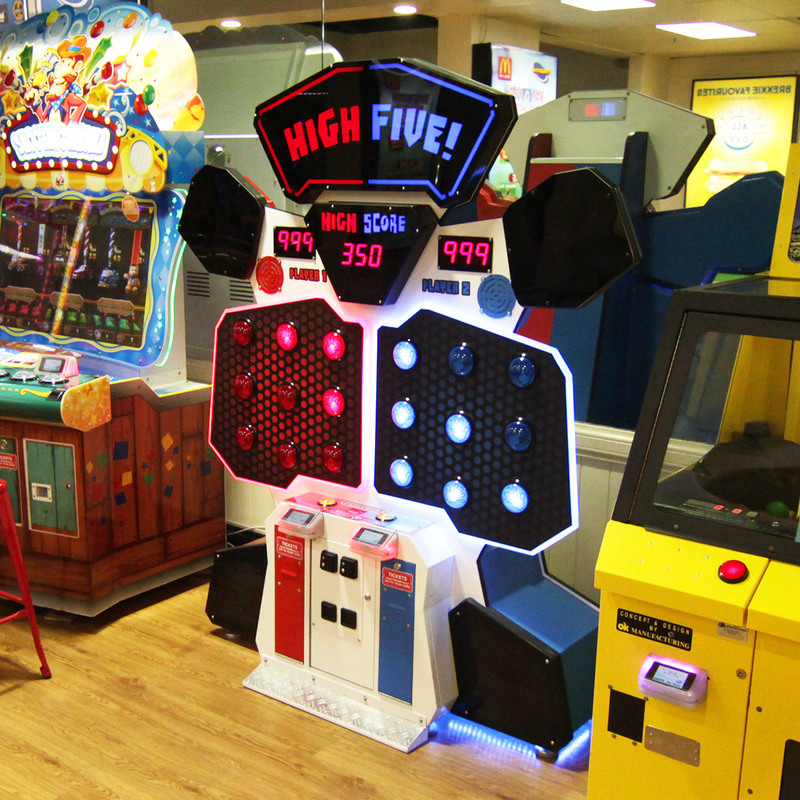 For the Operator High Five is an inexpensive and attractive game for the younger audience, most importantly it adds a unique but fun and physical game play experience that’s attractive to kids and parents alike. 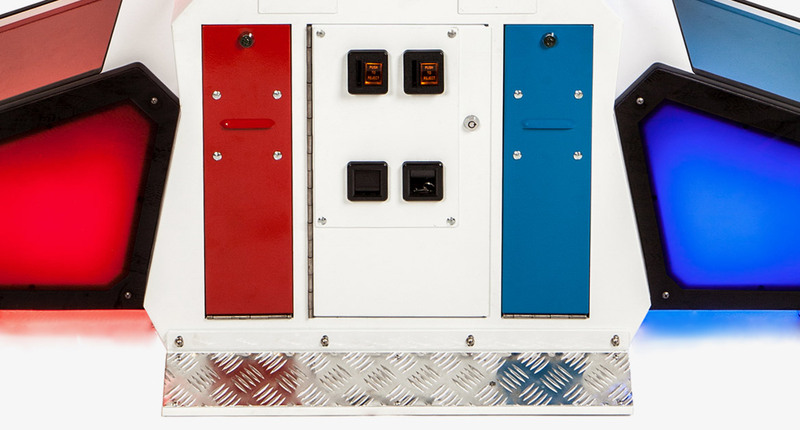 Operator adjustable settings including game time and maximum ticket payout allow you to control of both payout and utilization rate. 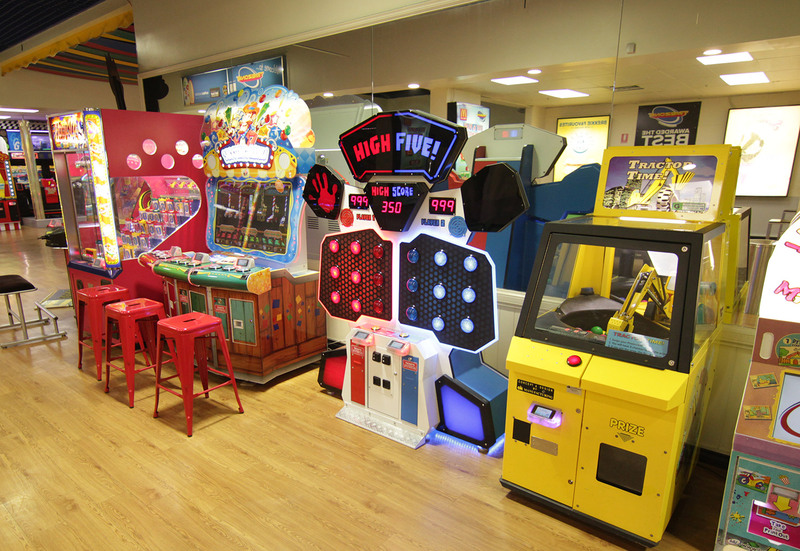 The small footprint allows the game to be placed almost anywhere in the facility. 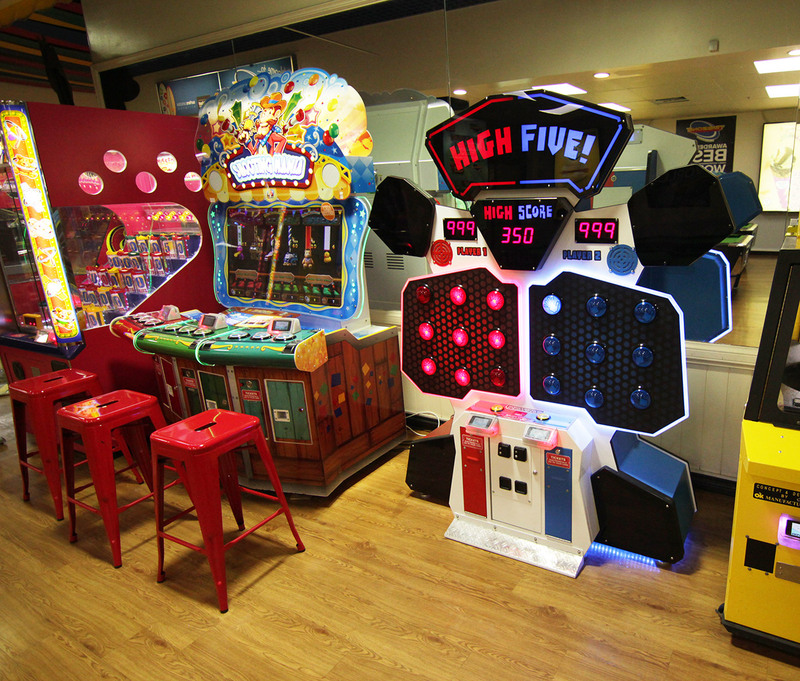 If you like High Five, we recommend you also check out these games!